It's strange, but the most cited factors that people adopt eLearning for, are not really related to its educational qualities, but rather to cost and convenience. 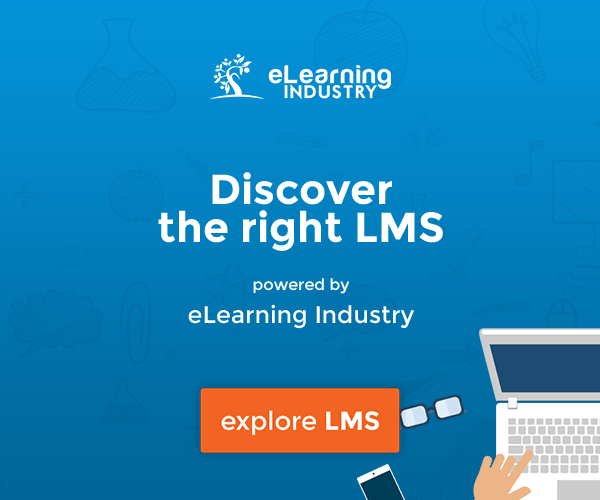 Sure, an LMS (Learning Management System) is cheaper to deploy and scale than traditional classroom based training, and much more convenient for both instructors and learners, as it doesn't demand their physical presence and rigid class hours. But eLearning is much more than a cheap solution for when you can't afford classroom-based training. In fact, according to an extensive meta-study by the Imperial College of London, eLearning has been shown to be equally or even more effective than traditional training. But you don't have to take their research-backed, scientifically-proven words for it: In this article we'll have a look at how a modern eLearning platform like TalentLMS can help you not only train your employees but also access their progress and its training effectiveness, enabling you to make valid assessments. Tests and quizzes are the most basic form of interaction with your students (apart from putting up content for them to study). Unlike in traditional learning, where tests go hand in hand with the tedious and time-consuming task of correcting them (which is why lots of teachers prefer to give as few of them as they can get away with), in eLearning tests can be graded “automagically” by the LMS. Not only that, but instructors can also prepare a large pool of questions of different types (multiple-choice, complete the phrase, match question and answer, etc), and let TalentLMS create tests of the desired subject matter and number of questions itself. These two features allow instructors to have many small assessments in every lesson, and slightly larger ones at the end of every major course section, without having to spend all their time devising tests or grading them. It's also better for the students, as they don't have to deal with the fearful “end of semester” mega-test, but rather a larger number of smaller and more manageable tests. As for cheating, instead of getting easier with eLearning (since the teacher is not standing next to you), it's actually harder than with traditional learning. TalentLMS for example can use the aforementioned pools of questions to create random, personalized tests that prevent students from sharing their answers. eLearning tools being able to automate testing and other parts of examining users doesn't mean that old-style homework is obsolete. 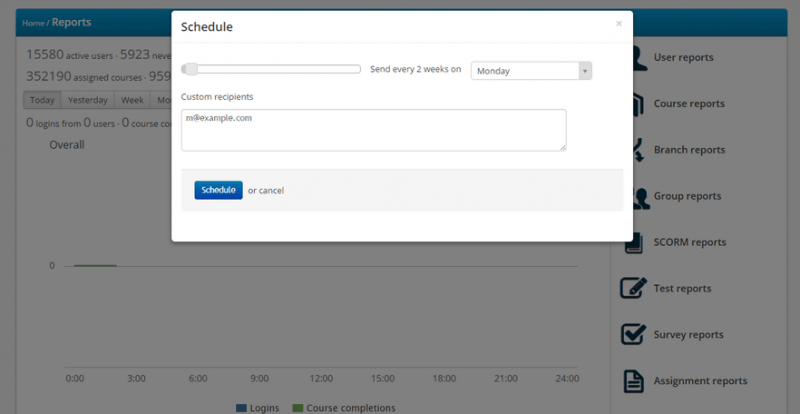 TalentLMS offers just that, through its “Assignments” feature, which allows instructors to define homework assignments for the students to work on. Students, in turn, have to upload a file with their reply in order to complete the assignment. 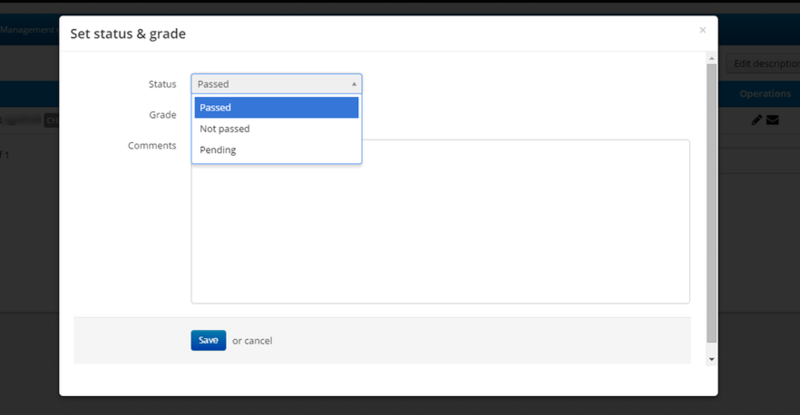 In TalentLMS an assignment can be considered completed either at the moment when the student uploads his answer or when the instructor has evaluated and accepted it. Assignments can be graded just like tests and quizzes, although obviously manually by the instructor, which can also set their status to be either “passed” or “failed”. This feature allows for more nuanced and personalized assessment of your students' skills and understanding, e.g. by having them write essays, computer programs and similar lengthier and more intricate assignments that cannot be adequately expressed by simple tests and quizzes. The most comprehensive tools that TalentLMS offers to help you access the success (or lack thereof) of your eLearning program are Reports. Sure, tests, quizzes and assignments are all great, but they only provide brief and isolated views of a student's progress. To get the full assessment of how your students are doing you have to get to the reports page and see their progress (or lack thereof) throughout their courses. 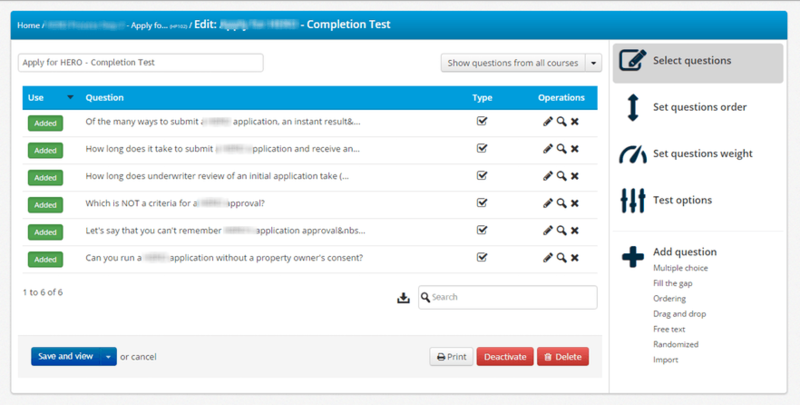 For instructors assigned to a course, the “Course report” page shows an overview of the students’ interaction with that course through time, and includes information on the tests, surveys and assignments they were given. LMS administrators get an even fuller overview in TalentLMS, as they can see reports for the entire system (including different branches), and even generate their own custom reports. 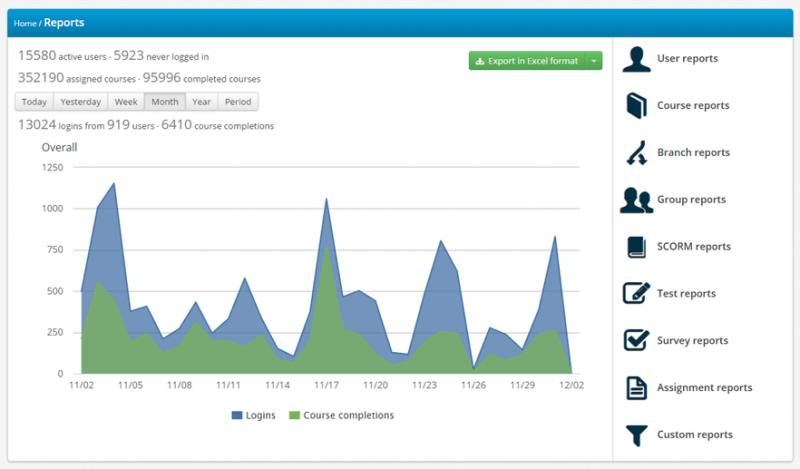 On top of what instructors see in their “Course report” page, administrators can see reports for all Users, Courses, Branches, Groups, Assignments, SCORM items, Tests, and Surveys. Reports can be filtered down to particular Groups, Courses or even individual users, allowing you to have both a general 10,000 feet view and detailed statistics on anything you want to measure. And if you want to share a report with others or process its results in a third party system (e.g. Excel, your ERP, etc.) TalentLMS’ CSV export feature lets you do just that. 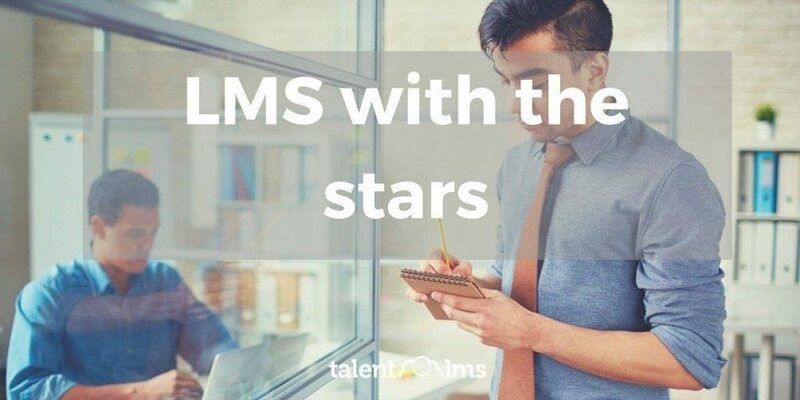 In this article we had a look at the tools and methods a modern LMS platform like TalentLMS offers in order help you assess your training program’s progress. Note that you’re not just accessing your students’ efforts and progress, but also the efficiency of your training material; whether it's too advanced for the students to understand, or so easy that bores them, whether it's confusing and needlessly complicated, and so on. Teaching, after all, is a feedback loop between instructor and student; even when the learning takes place online. TalentLMS, for its part, gives you everything you need to take advantage of that feedback loop to fine-tune your training to perfection. Want to see more? 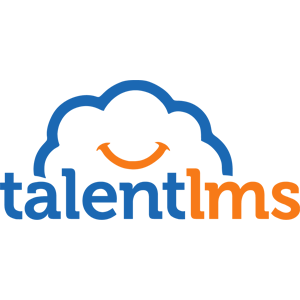 Take TalentLMS for a free test drive and assess its legendary ease of use, flexibility and speed for yourself.